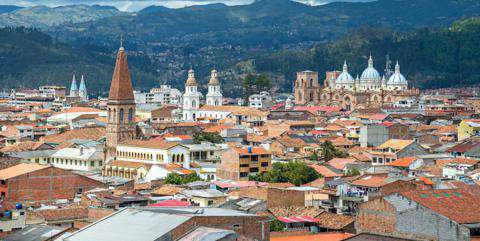 Peru or Ecuador: which country is more expensive? This comparison of travel costs between Ecuador and Peru examines average prices across multiple categories. Please visit each country's individual budget page for more detailed information. Should you visit Peru or Ecuador? Peru and Ecuador share a lot of similarities, as they are neighbors. Both have plenty of mountains, rain forest and cloud forest, biodiversity, and culture. Historical and cultural sights are also common, but varied. Often, a trip to one of these countries can be combined together into a trip to both, and also with some of the other nearby countries as well. In Peru, Cuzco, the ancient capital of the Inca Empire, is a popular destination for tourists. Its various churches from the colonial time, its many museums from the Inca Museum to the Chocolate Museum and its Plaza de Armas with numerous small gardens and benches make Cuzco a picturesque city. Many visitors only pass through Lima to go to Cuzco, but with Lima's historic center and its many museums, the City of Kings has a lot to offer. Lima is also famous for its cuisine as you will be able to enjoy a nice meal in front of the beautiful ocean landscape. When is the best time to visit Peru and Ecuador? Why is Peru more expensive than Ecuador? Ecuador has a fairly low cost of living. It is astonishingly diverse and interesting but it's also a relatively small and compact country, which reduces the need to spend on long-distance transportation the way you will in neighboring countries. Activities are pretty cheap. For example, a round trip on the stunning Devil's Nose train will cost USD$30, hiking trips to volcanoes and mountains usually start at around USD$40 and in terms of accommodation there are ample cheap private rooms to be found in Ecuador, and often the price difference between a dorm bed and a basic private is minimal. The one thing that can really tip the scale is visiting the Galapagos Islands. However few tourists travel to Ecuador without visiting the Galapagos Islands, which on its own requires a budget of at least USD$1000 per person though probably a bit more. 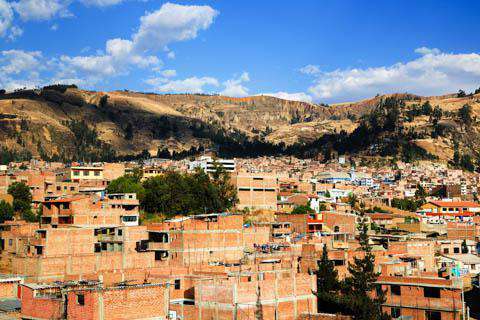 What are the most expensive and cheapest cities and regions in Peru and Ecuador? How you can save money when visiting Peru and Ecuador?